Simply order! By e-mail or telephone. 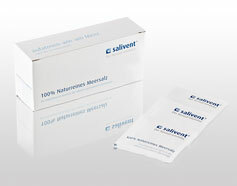 We offer you two uncomplicated possibilities to directly order your salivent® aerosol inhalator. Would you like to order via e-mail? Simply send us your order via E-Mail. Would you like to order over the telephone? Dial +49 (0)2 02 - 6 95 34 - 0 and simply give your order over the telephone. The delivery time is 3 working days as a rule.